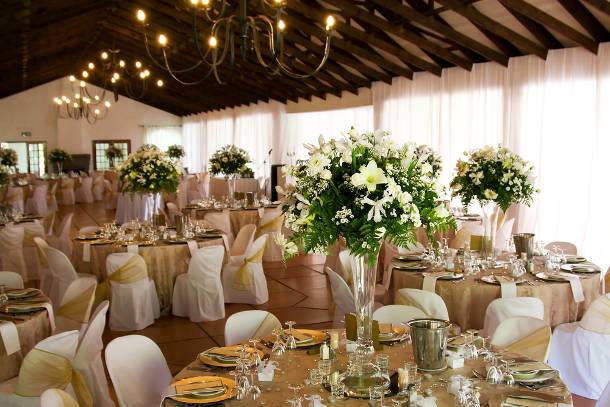 Choosing a wedding venue is one of the first and most important decisions a couple will make for their big day. The venue sets the tone for your whole event. Will you have a romantic candlelight ceremony? Or an epic dance-all-night reception? Every venue comes with its own set of rules, and you need to know what to ask to make sure it’s the perfect location for your perfect day. Many venues will host multiple events each day, and a packed schedule might leave you feeling rushed or overlooked. On the other hand, popular venues are likely more experienced with events like yours. Make sure you’re comfortable with their balance between busy and in-demand, and ask how they manage to give their full attention to each event. What do the fees include, and what costs extra? Venues come in two categories: full service and not full service. A full service venue often includes things like chairs and tablecloths, while you’ll be expected to provide everything in a not full service venue. 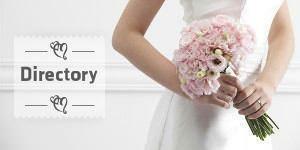 Ask about extras like day of coordinators, extra hours, and on-site photo sessions before you sign on the dotted line. Do you restrict outside vendors? The wedding industry is a community. Venues have established relationships with caterers, entertainers, florists, photographers, etc, and prefer to share business with those they know and trust. This gives you the benefit of their experience, but it can also limit you from using the vendors of your choice. If you choose to use their on-site caterers, ask about corkage fees and server costs. Do you offer a weather contingency plan? If you’re planning an outdoor event, nothing can ruin your day like unexpected weather. Many venues offer a last minute alternative location in case of rain. Ask to see it, and make sure it’s a space you’d be happy to have your event in. Do you have décor restrictions? Many venues have specific regulations on the kind of décor that can be used. Your candlelight ceremony might not be a great fit for a venue that doesn’t allow open flame. And those curtains you hate will probably still be there for your day. Ask if you can move things around and make changes to the existing décor. Knowledge is power. Make sure you ask the right questions to ensure your venue is right for the wedding of your dreams.